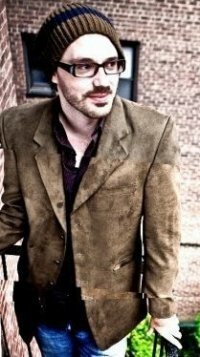 Douglas Sills is a Tony Award and Drama Desk Award nominee for his performance in Broadway’s “The Scarlet Pimpernel.” With a stage presence, talent, a big booming voice, and good looks, Douglas Sills is your go to guy! His many other stage credits include the Broadway revival of “Little Shop of Horrors,” Encores! 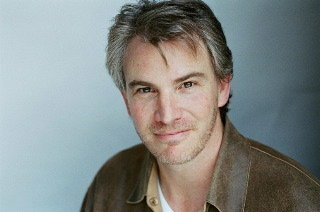 productions of “Music in the Air” and “Carnival,” “On The 20th Century” for the Actors Fund, “Moonlight and Magnolias” at MTC, and BCEFA’s benefit “Broadway Backwards 5.” On the road, Douglas has starred in the National Tours of “The Scarlett Pimpernel” for which he was an Ovation Award winner, “The Secret Garden,” and “Into The Woods.” Regionally, he has been seen in “She Loves Me” (Westport Playhouse), “A Little Night Music” (Kennedy Center), “Much Ado About Nothing” (South Coast Rep), “Mack and Mabel” (Reprise), “Othello,” “Cymbeline,” and “Merry Wives” (Cal Shakes), “The Philadelphia Story,” “Richard II,” “Henry IV”, “Henry V,” and “Mrs. Warren’s Profession.” Television audiences will recognize Douglas from his guest appearances on “CSI,” “The Closer,” “Numb3rs,” and “Will & Grace,” while film goers will remember him from “Deuce Bigelow: European Gigolo. Douglas just completed a run as “Captain Hook/Mr. Darling” in Papermill Playhouse’s smash hit production of “Peter Pan” (which co-starred fellow “Adaumbelle’s Quest” participants Nancy Anderson and Zachary Infante). Douglas is gearing up for his next move, so until it’s announced, be sure to keep up with him on Facebook! 1. Who inspired you to become a performer? So many. And I look for fresh inspiration all the time. 2. What is the highest and lowest note you can sing? Don’t know. Try not to take notice of absolutes like that. It seems only to enforce limits rather than encourage the spirit of an idea. 4. Do you have any rituals that have to do before each performance? How do you decompress after a show? Rituals change according to the demands of the piece. Sometimes I jog to the theater, or do a recorded warm-up geared to the piece, read historically-related fiction about the period….but whatever it is, it’s generally solitary activity. Decompression also varies depending on the situation….ie: comedy or tragedy, musical or play, near home or long travel afterward, friends in the show or not. Nothing too routine for decompression. Usually have to get back to let the dog out . She’s been my decompression more than anything….Care of something outside myself. I like to get home and bring something to my partner. 5. What’s your proudest moment? Having my folks attend the Tony Awards at which I was nominated and performed. 6. Do you have any strange or unusual talent that no one knows about? I can dismember a body in 32 minutes. 7. Favorite way to stay in shape? My favorite way would be to eat whatever I like…but that doesn’t work. Ummm working is my favorite way to stay in shape generally. But I like to push myself to try new things….ie: did Bikram for a while. Tried a vegan regimen for a while. I get the feeling yoga is likely the best approach for me. 8. Boxers or Briefs? Boxers around the house. Briefs otherwise. 10. Superman or Wonder Woman? Neither. Spongebob, Peter Griffin or Larry David. 12. Favorite way to spend your day off? Strolling a shaded beach with my dog and my partner, looking for sea life in the shallows.